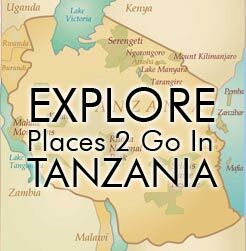 Western Tanzania is rarely visited because it is rather difficult and expensive to get there. But most that do go are attracted by the Chimpanzees. 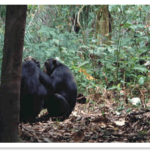 Witnessing wild chimps in their natural habitat is truly something quite special. 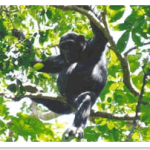 The chimps can be seen in Gombe & Mahale National Parks. 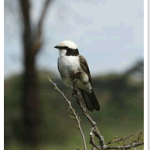 The other main reason for visiting the West is Katavi National Park. Here, you’ll experience the feel of truly isolated bush with very, very few other tourists. Pretty much all accommodation options in these parks are well on the expensive side. In case you are curious, there is no sane way to reach the west by road vehicle. We just read an explanation on TripAdvisor from someone who took buses from Dar to Kigoma. He ended up taking four days (by bus!) to get there. There is the possibility that some people on a budget might decide to take the train but that is not something we offer to our guests and for most people it is highly not recommended. Brian, co-owner of A2T, has taken the train, but it was pretty dirty and we’ve heard that it has gotten worse. If you want to take the train, we can try to provide some guidance on that, but you would be on your own in the sense that we can’t take any responsibility. The only practical way to visit Gombe, Mahale and/or Katavi is to fly. If you are planning to visit Gombe, it is probably best for you to fly Precision Air in and out of Dar es Salaam. Note that depending on the day of the week, your flight from Dar to Kigoma (nearest airport to Gombe) might be leaving in the morning or in the afternoon. If it’s the day for the morning flight (check www.precisionairtz.com for the latest flight information) then you will likely need to sleep the previous night in Dar es Salaam. This could eat up some of your valuable time in Tanzania. If you are lucky and it’s the day that the flight to Kigoma departs Dar in the afternoon, then you are lucky and you could probably take a flight from Arusha to Dar in the morning and still reach Dar in time to catch the flight to Kigoma. Note also, though, that for most people we recommend that you spend your first night in Kigoma. Currently, in Kigoma, the accommodation choices are quite limited and we only trust Kigoma Hilltop Lodge as a good option there. And the same people who run Kigoma Hilltop (Mbali Mbali) are the people who run the only reasonable accommodation Gombe National Park. All in all, it’s a time-consuming and expensive trip to get to Gombe – and we didn’t even point out that the park fee there is $100 per person per day! – but honestly most people who try it really like it and say that it is worth it. Brian has done it, but he did it the cheap way (when he was a Peace Corps volunteer) so we could help give advice if someone is interested in doing it the cheap way. If you are planning to Visit Mahale National Park &/or Katavi National Park, then it is nearly impossible to get there any way other than a shared chartered flight. The first thing to note is that, as far as I can tell, these shared chartered flights are only available on Mondays and Thursdays. Yes, that means that your stay at either of these parks will be either 3 nights or 4 nights. I’m not sure why they do it this way. It may be to create some efficiencies. It may also be because the camps don’t want flights in and out of their airstrip every day disturbing the peace. These are truly very peaceful places. The flights, though expensive, are quite nice because you can pick them up almost anywhere including places like: Arusha, Lake Manyara, the Serengeti, Ruaha, Selous and Dar. There are limited choices for accommodation, so do book early and check out the options on our Mahale and Katavi pages under Accommodation. Rubondo Island & Lukuba Island: We have included these locations under West, but really they are in a category all their own. We did not want to literally give them their own category and we didn’t want to include them with the North so we put them in the West. Simply, these are two islands in Lake Victoria. These islands really only provide one accommodation each (though there is a quite reasonable park banda on Rubondo) so check them out on our Rubondo and Lukuba pages.